Find your voice and you can find your way back to yourself. A lifetime of trauma, stress, and deprivation leads to anger, frustration, resignation. It can manifest as violence and self-destruction, outward and internal expressions of overwhelming experiences and emotions. It can manifest as silence, not sharing your voice or talents with the world. 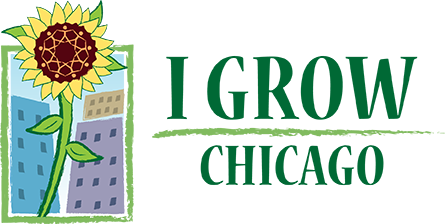 Creating another outlet, one that is productive and peaceful, is a core mission of I Grow Chicago. Art and opportunities for creative expression are more than extracurriculars, they are moments for rehabilitation and healing. They are integral to self-awareness and wellness for people of all ages. Brain function and emotional growth improve when arts and music are part of someone’s life. We believe in intergenerational opportunities for empowerment and expression. We also believe in the joy of creation and sharing that arts provide. Fostering opportunities for healing through the arts. Opportunities abound for creative expression with I Grow through resident-led projects, volunteer efforts, and ongoing partnerships. 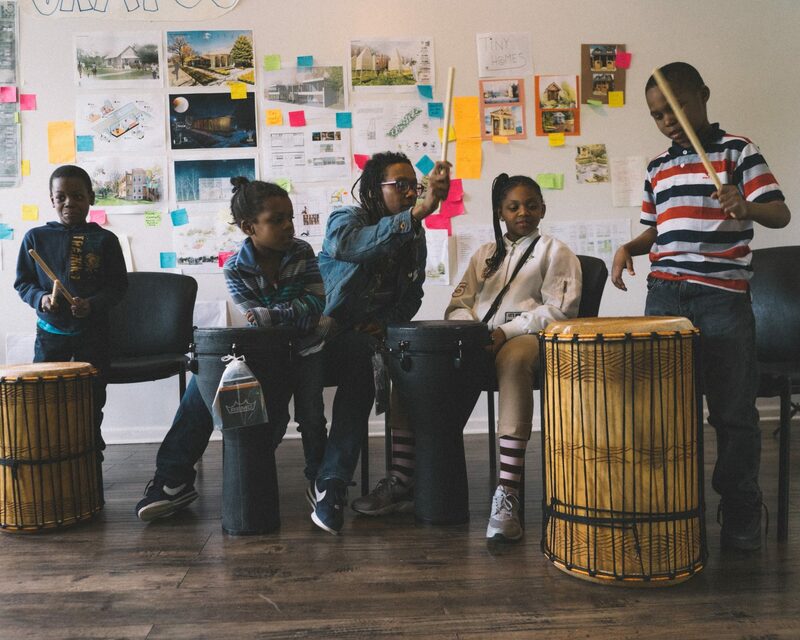 With Old Town School of Folk Music, we host weekly drumming and spoken word circles for youth and adults at our Peace House. Check the calendar for upcoming activities and read about our partnership with Old Town School of Folk Music.